No, National Geographic hasn't begun covering nonsense since their merger with Fox. Claim: The first issue of National Geographic following a takeover by Rupert Murdoch indicates a deviation from the magazine’s science-based content. 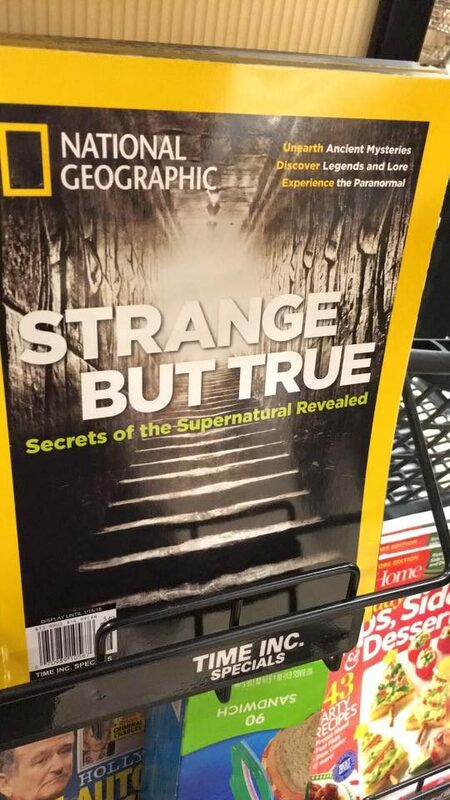 WHAT’S TRUE: The “Supernatural” issue depicted is real, and National Geographic and 21st Century Fox did announce the formation of a partnership on 9 September 2015. WHAT’S FALSE: The issue in question was a likely product of that merger and a standard issue of National Geographic. I’m seeing this passed off as true (Murdoch takes over Nat Geo and this is the first issue under his ownership). But there’s no date nor issue number and it seems a little ‘too good’ to be true. What say you? Months ago, Rupert Murdoch bought NatGeo and fired most writers. This just hit the stands. The value of [the National Geographic] brand comes from its integrity and, fundamentally, it’s authenticity with its customers, and you would never do anything with it that presupposed changing any of that. The reduction, the largest in the organization’s 127-year history, appears to affect almost every department of the nonprofit organization, including the magazine, which the society has published since just after its founding in 1888. The reduction also will affect people who work for the National Geographic Channel, the most profitable part of the organization. Several people in the channel’s fact-checking department, for example, were terminated on Tuesday, employees said. Although we were unable to successfully reach anyone in National Geographic‘s editorial department to confirm precisely how long issues spent in development prior to print, the process is also somewhat standard in the industry. Readers are used to new media content (which can hit web sites in a short time), but print publications required writing, photography, layout, printing, and a number of factors that made up a way longer lead time (irrespective of title). That long-form piece again was clearly several months in the making, as is standard with editorial lead times. So while the “Strange But True” National Geographicissue was genuine, it was a special issue whose planning clearly pre-dated both the announcement of the deal and subsequent layoffs. Even the actual then-current issue (“Mary”) was likely started well before the September 2015 National Geographic Fox deal was announced.